As of Dec 17, here are the top 20 Korean artist in Facebook. I provided the link for reference. Seeing the ranking, it’s a bit surprising that the artist that are dominating Korea right now, didn’t even made it to the top 10. SNSD and 2AM are way down on the chart. I’m especially surprise that SNSD is that low. I mean they sell so much album but yet they don’t have that much fans overseas. Hmm. So SNSD fans does buy more than 1 album to provide a win for them in music shows. Also, I’m surprise that U-Kiss is so high in the ranking and DBSK is so low. Maybe this does prove that U-Kiss is more popular outside Korea. Just like Supernova. I apologize, I did not see that Super Junior fan page. Anyway, congrats to Super Junior for being the most popular Korean artist on Facebook. This is a big accomplishment since Facebook is a worldwide social networking site unlike Daum. Feel free to comment if there’s any inconsistencies with what I wrote or if I have forgotten an artist. I checked and double checked and tripled checked the information above after I had that mistake on Super Junior. I am confident that at Dec 17, these are the most popular facebook groups of the artist that was mentioned. As the days goes by, these FB page will grow and I can’t keep updating this post. Here I am again for my farewell project. December is around the corner so I better speed up. As I promised, on the 1st of December I’ll post the 10th Most Talented Group. I have to eliminate four more to get my “10 Most Talented Idol Groups”. Looking at my pro-con list, B2ST and U-Kiss is not part of the elite 10. I’m actually surprise that both went this far but I can’t deny the numbers. B2ST is first known as a group of rejects. Meaning there are members that almost made it as members of currently popular groups like 2pm and Big Bang. But as time goes by, they have made a name for themselves. The reason for their elimination is vocals and stage performance. As all of you know by now, I’m a dancer. I know and see what’s wrong in any routine, and what’s wrong with B2ST is their lack of harmony. Individually, they can dance, but the problem is that they don’t gel together. Watch their performances, someone is always half a second late. Also, they seem to not care about the details. My friends and I always do this “leg test” when judging our routine. Watch B2ST performances and take an extra effort in their legs. The angles and distance is all over the place. That means they need more practice. Details is important when your routine is fast. I mentioned this before, I really like their “Shock” choreography but they didn’t really deliver. Their timing is really off. I think if SHINee, Infinite or MBLAQ was given that song, it would have work. Now with their vocals. I’m not saying their not in tune. But like their dancing, I think their voices doesn’t gel together. It’s actually weird. It’s like they have different styles and no one wants to back down to make the song work. Also, is it me or none of them have that voice. I don’t know that exact term. I think firm. I’m saying quality of voice. Reaching the notes is one thing but having a firm voice is another. I hope I’m saying it right. Compare the voices of MBLAQ’s Seungho, GO, SHINee’s JongHyun, Onew, Infinite’s WooHyun, Sunnggyu and U-Kiss’ Kevin, SooHyun to the vocalist of B2ST. The other groups’ vocalist is firm and full. I hope you get what I’m trying to say. I’m weak in terminology. I don’t remember the exact word so I hope you get what I mean. Technically, B2ST’s elimination is attributed to the lack harmony of their individual talents. Now with U-Kiss, they’re good actually but not as good as the remaining groups. I know they have been criticize over and over because SooHyun and Kevin technically sings the entire song. But as I said in my previous post, this ranking rates the group’s performance. So having members singing just words doesn’t affect the ranking as long as the performance is good. 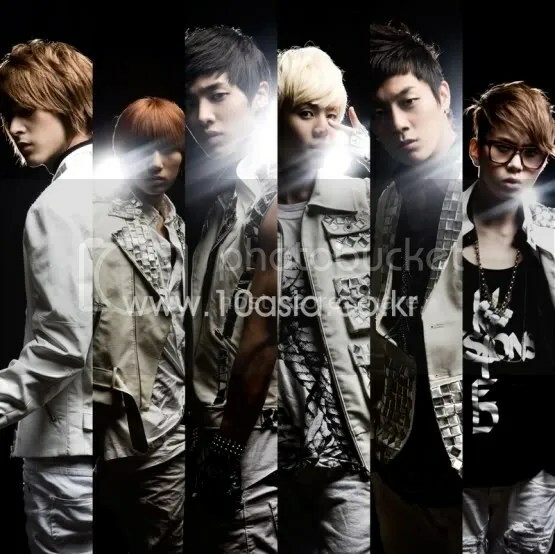 And with regards to U-Kiss, their performances are good. They just lacks charisma and opportunity. Charisma in a sense that people would want to know then more and opportunity in a sense of having good songs. No one cares about U-Kiss before they released “Man Man Ha Ni”. So maybe if they were given songs like “Lucifer”, people would take interest in them more. This group can do other groups’ songs actually. 2 more are gone and only 12 remains in the hope to be part of the “10 Most Talented Idol Groups”. I’ll leave you with my favorite performances of B2ST and U-Kiss. Last batch. If you know any dance versions of artists that I have not posted yet, please do comment. I think, dance versions are an awesome way to see what idols can do. Nowadays, idol groups tend to follow the “the more the merrier” belief. It’s hard to track who can do what. Also, dance versions are an easy way to copy the moves. Hope more dance versions will be uploaded.